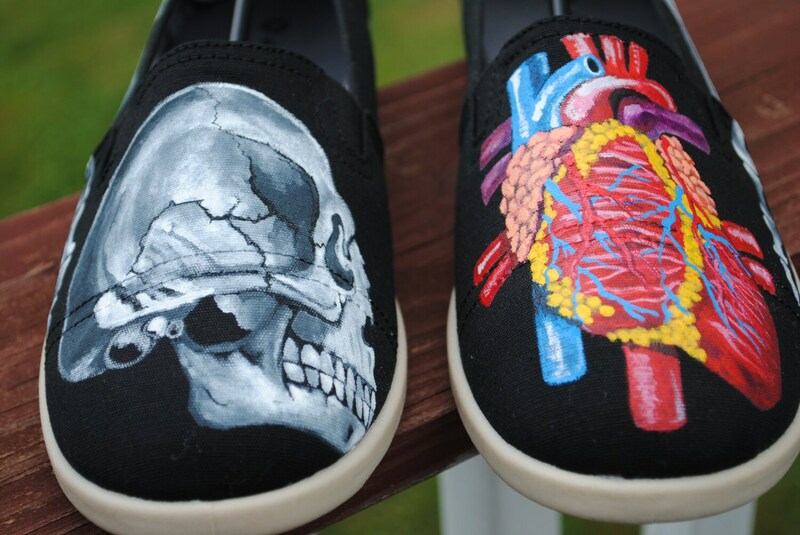 New Skull and Heart Design with feet bones on the sides... note these are sold and just a sample of what can be done. 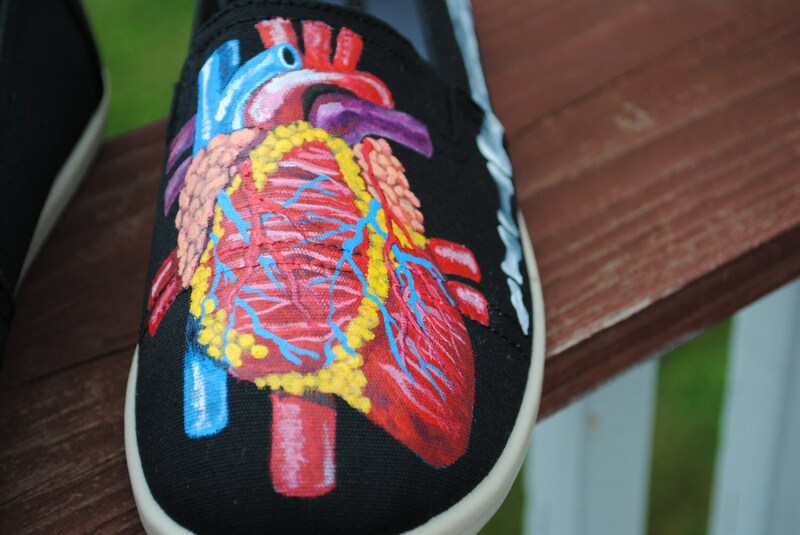 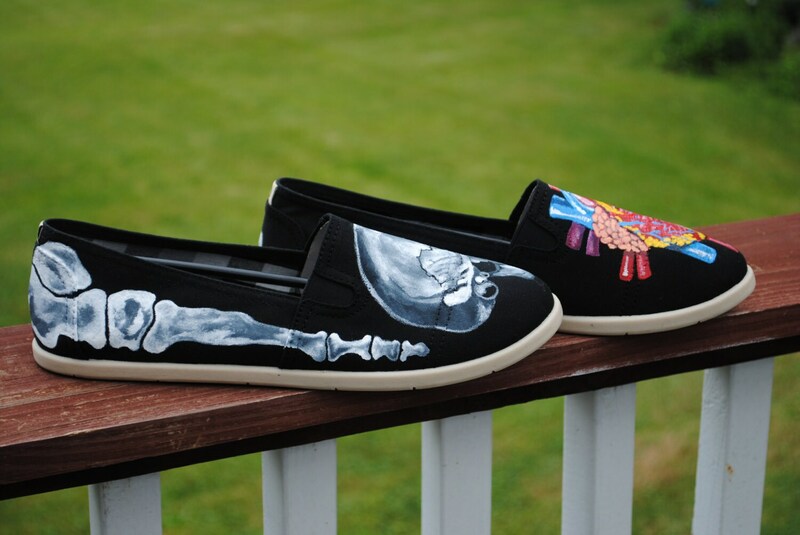 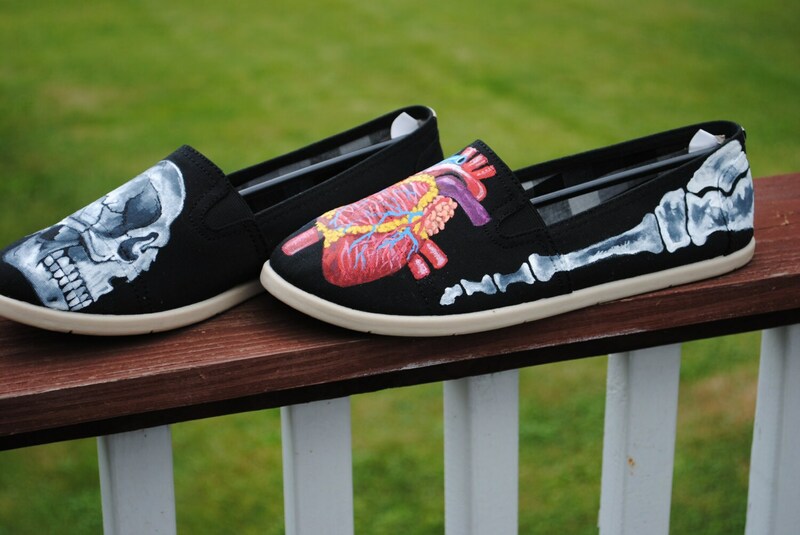 If you would like a pair of custom shoes just email me your suggested designs and we can discuss price and lead time. 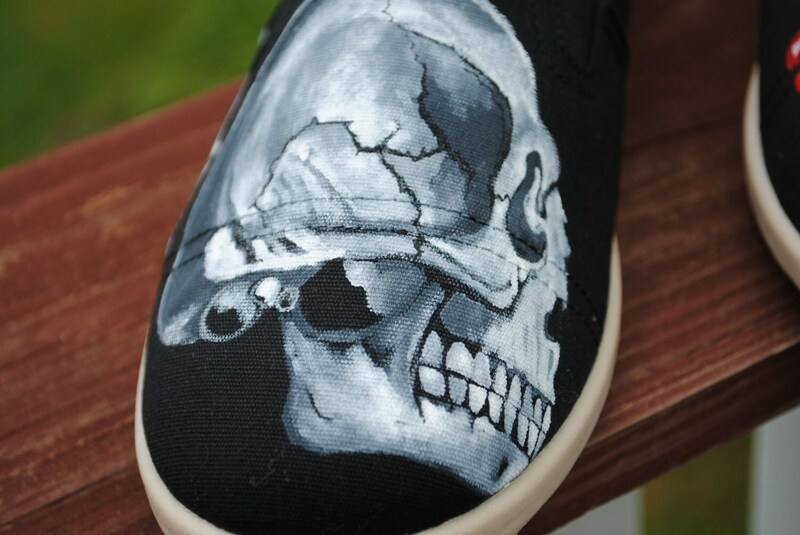 Note: These are more expensive because of the time I put in painting the details.